Time for dynamic character combat poses again! Shattering Blow - and armor point reducing attack. Block - the Executor uses his shield to block attacks. Smashing Blow - a base attack against a single target. Idle - Exector stands idle. 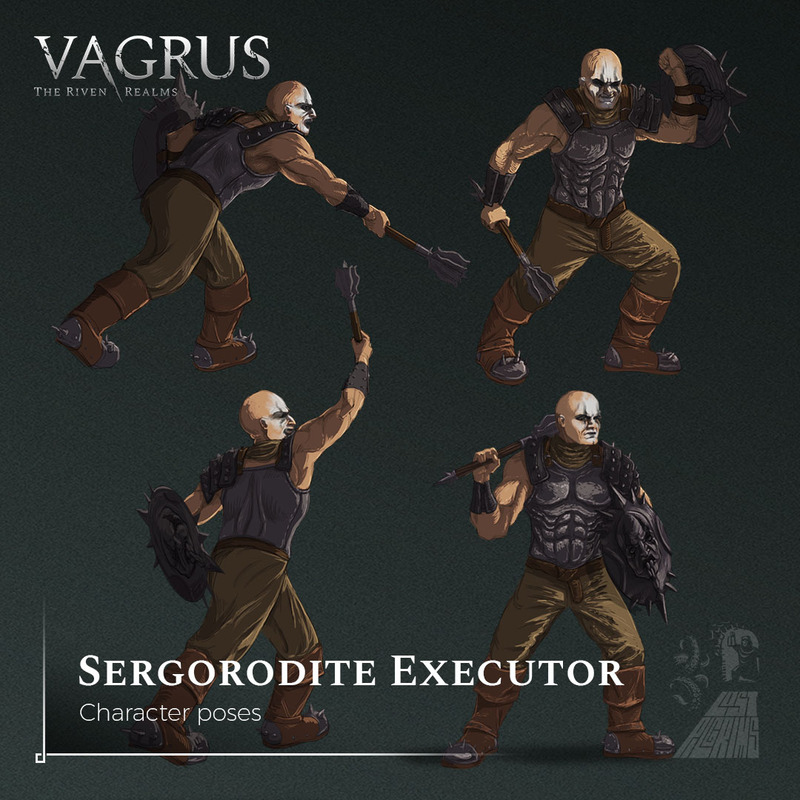 Because you play as a leader of a caravan of sorts, a big part of Vagrus is how you manage your crew. The Crew Management UI aids you in your management tasks and displays information on your crew's stats. Crew management also includes the character sheets of the named 'Hero' characters, where you can check their stats and manage their progression. 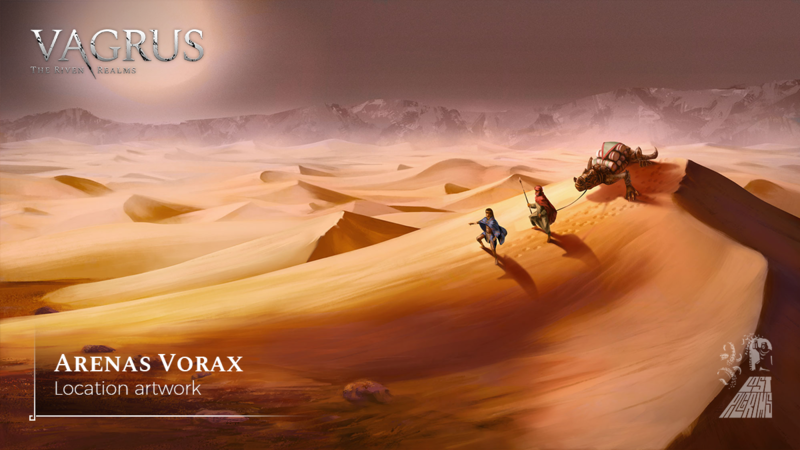 These characters can also play important roles in the crew, becoming your closest aides, called Deputies. More character poses! This time for the good old Brigand - the very first character Szonja designed for the game! The first image (top) is for Hamstring, an ability which immobilizes the target. The second (bottom left) is for Fend Off, an overwatch-type combat skill where the Brigand targets an empty space on the battlefield. It's bad news for an enemy if they move onto it. The third one (bottom right) is the Brigand's block/defense pose. 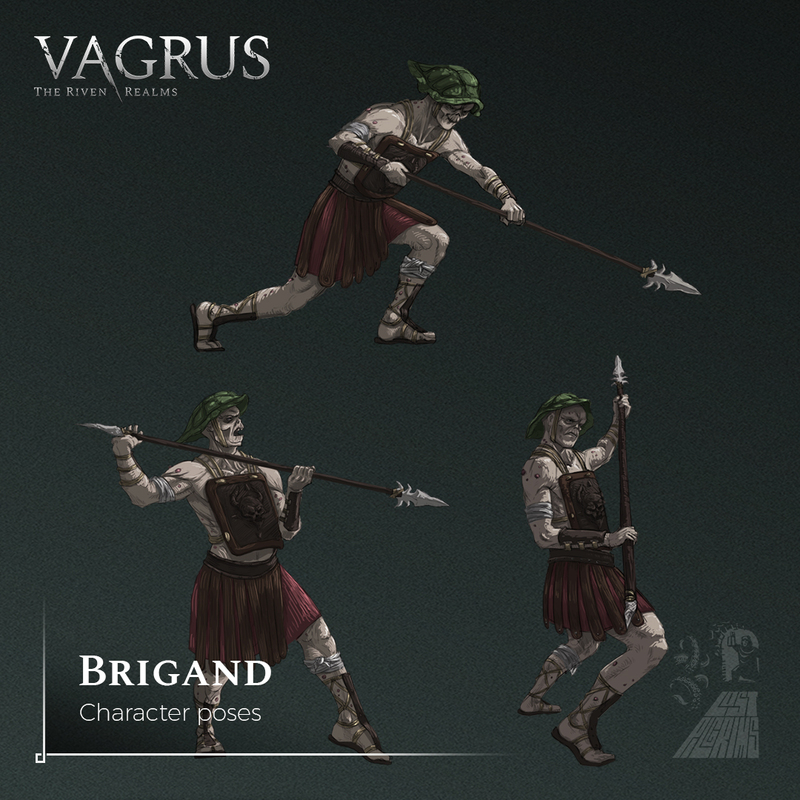 The brigand is a very versatile support/defensive character for the outlaw roster, able to block spaces and defend other combatants, making him quite a pesky enemy. 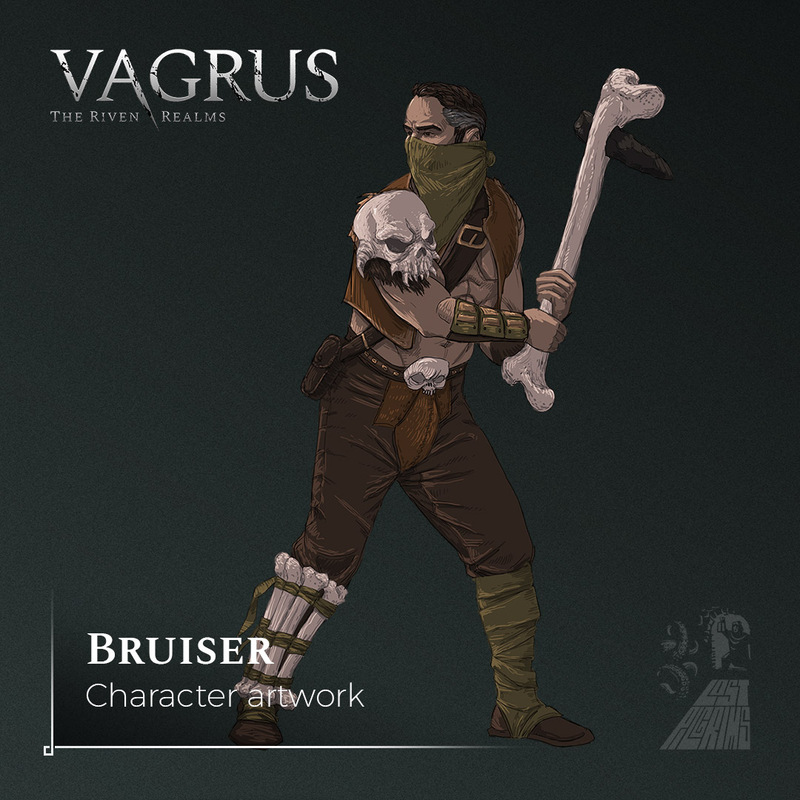 This week's character artwork and reveal is that of a fairly common enemy: the Bruiser; created by Szonja. These folks are on the 'wasteland outlaws' roster and represent the muscle of the group. Bruiser abilities include a bull rush (that pushes opponents away), a blunt attack (that stuns the target), and a cheap shot (that puts a savage debuff on the target). 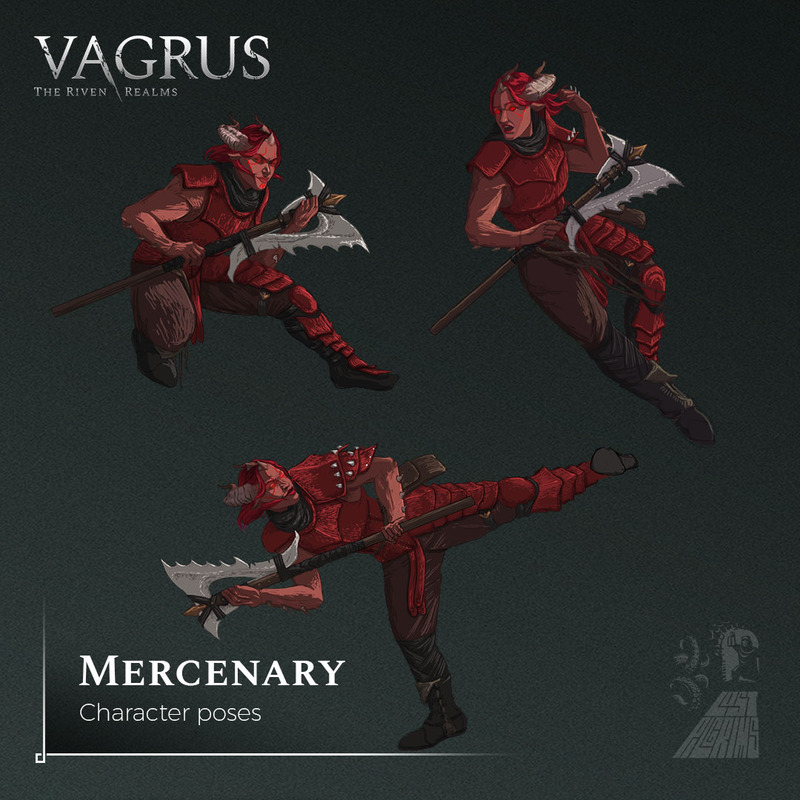 We thought it's time to share 'character poses' for the Mercenary. The first one (top left) is her Dodge phase, which occurs when following an attack her Dodge roll is successful. The second (top right) is her Hit phase, while the last one (bottom) belongs to her 'Savage Kick' combat skill. 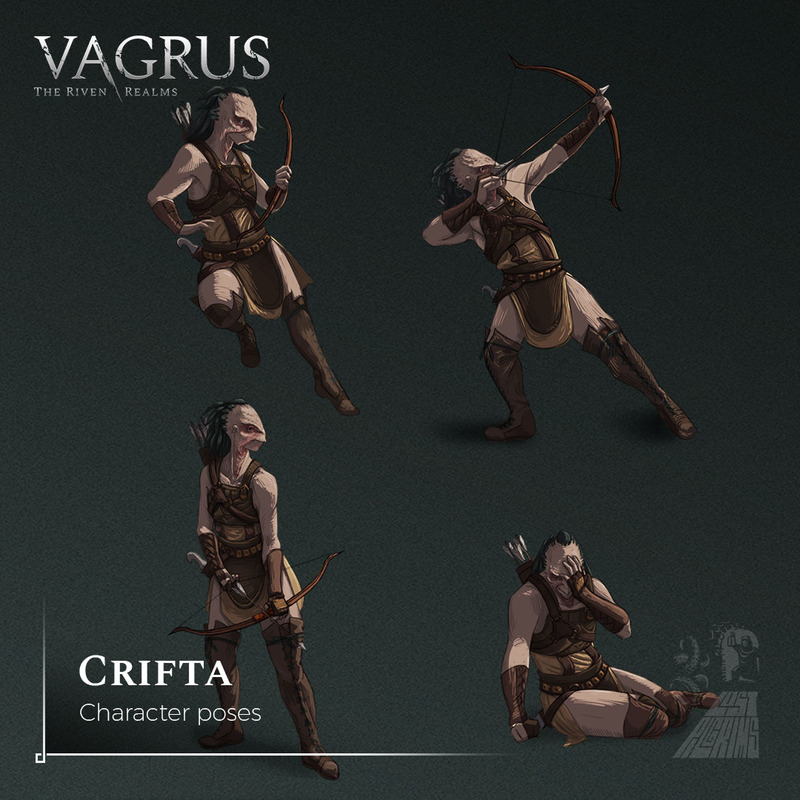 Here's a quick look at some of the character poses from combat that Crifta, the mutated archer has. These are (from top left to bottom right): Dodge, Suppressing Shot (skill), Idle, and Downed (when a character is beaten but not yet killed). Szonja put a lot of work into making Crifta look unique and her poses dynamic, and it shows.